This football season, the Iowa Hawkeyes have taken fan behavior to a whole new level, much to the delight of nearby pediatric patients. 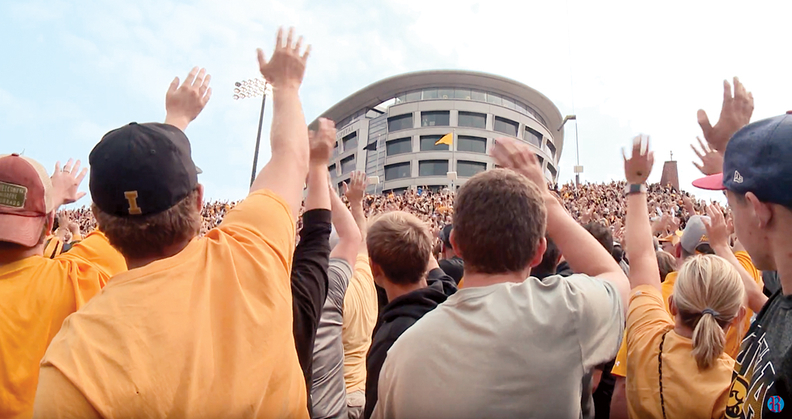 At home games, fans sitting in Kinnick Stadium in Iowa City send a wave of support to patients sitting across the way at the new Stead Family Children's Hospital. 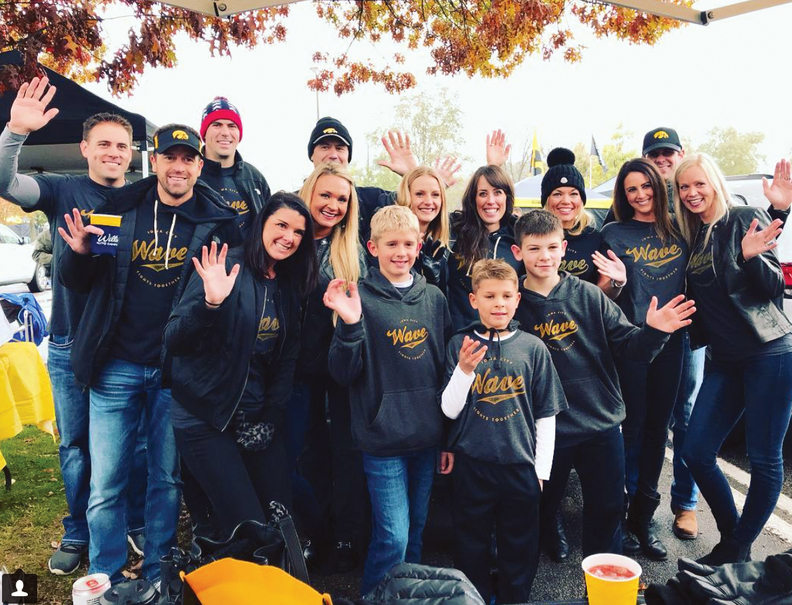 The Midwest nice gesture has gotten a lot of attention and three Des Moines families are building on the new tradition by selling Iowa wave T-shirts to benefit the hospital. T-shirt sales are to benefit the hospital. The shirts were first sold to wear to the Nov. 4 game, when Iowa defeated Ohio State. Fans had begun doing the wave in September and since then, at end of the first quarter of each home game, 70,000 fans turn to greet the children and families watching the game from their hospital rooms or a viewing area designed to host patients. University officials discussed doing something like the wave as the hospital neared completion. "The idea started there," Charlie Taylor, with UI's strategic communications department, told TV station KCRG. "But, candidly, it took off with the fantastic fan base we have." The wave T-shirts, which sell for $30 at theiowawaveshirt.org, read, "Wave. Iowa City Fights Together." All profits will be donated to the hospital. As of Nov. 8, sales had reached $300,000.